The company considers Russia one of its fastest-growing markets. Microsoft’s earnings in Russia are in excess of $1 billion, according to a statement Operations Director Kevin Turner made to analysts. Turner is quoted by Interfax news agency as saying that he would like to draw attention to Russia and Brazil, that both these company’s businesses earn more than $1 billion a year and are growing very fast, faster than other emerging markets. He stated that Microsoft had strong teams in Russia and was increasing its market share there at a fantastic rate. 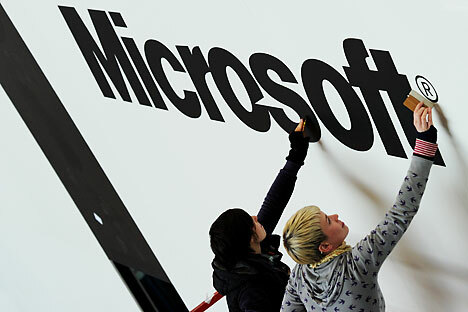 Microsoft’s total earnings in the 2011 fiscal year amounted to $70 billion. Microsoft has never before disclosed absolute figures for its earnings in Russia. But Microsoft Rus increased its business by 20 percent during the 2011 financial year according to its president, Nikolai Pryanishnikov. As early as 2008, sources claimed that Microsoft’s earnings in Russia were in on the order of $1 billion. That same year, the corporation’s General Director Steve Balmer said in an interview with “Kommersant” that Russia was on of Microsoft’s three strategic markets, along with the United States and China. During his visit to Russia, Balmer promised that his corporation would invest 10 billion rubles in the country over the next three years. He said part of the investments would go into the training Russians in basic computer skills, as well training students majoring in IT.